The Joint Commission holds 5 meetings per year, 3 in Mexico and 2 in the United States. 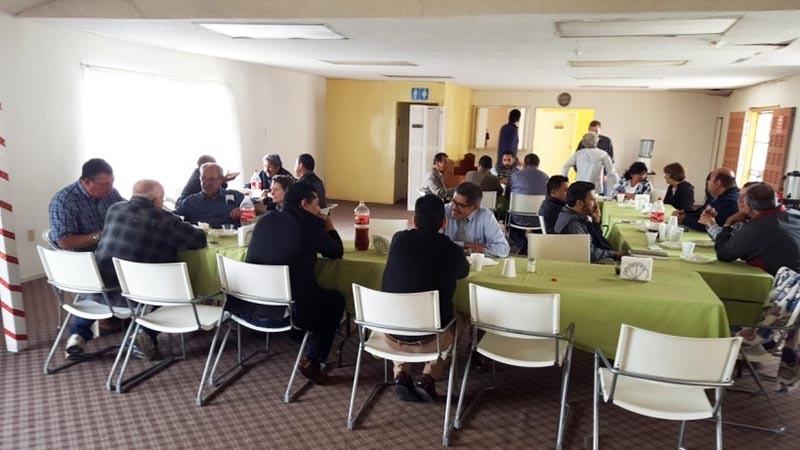 At these meetings, The Bishop from Mexico, representatives from Cal-Pac, officers, participating church representatives, including sister churches, and pastors from Mexican Churches are represented. Discussions range from reports on activities at Mexican Churches, to upcoming needs and opportunities. Requests for funding are received and voted on by members present. November 18, 2017 – Meeting will be held at Tijuana’s Torre Torre Fuerte Temple. February 3, 2018 – The Annual Meeting where a new slate of officers is elected and other important business is transacted is held in San Diego. The site is not currently confirmed…watch here for new information.